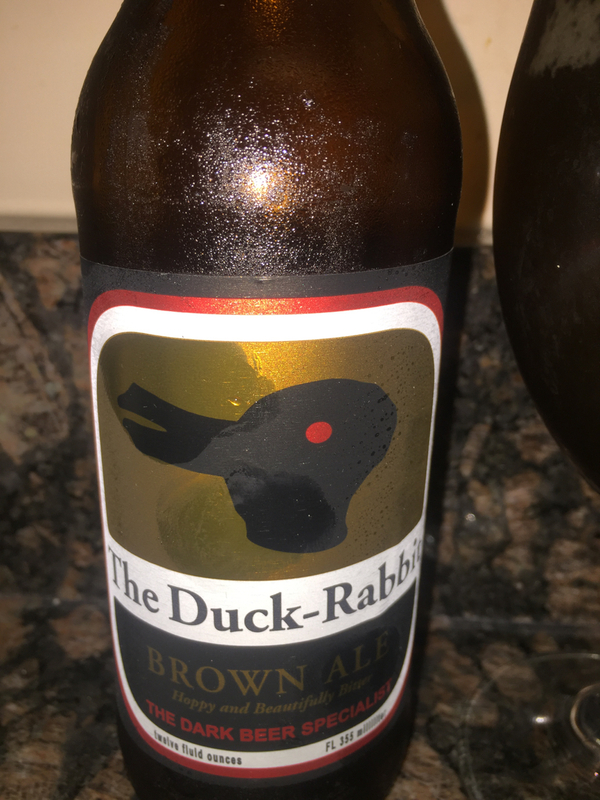 It’s taken me six hours to write this review because I keep getting distracted by the logo on the bottle from the Duck Rabbit Brewery. I mean, it’s both a duck and a rabbit at the same time. How mind-numbingly awesome is that? As part of my Amazing Club’s beer-of-the-month, I finally get to try two different kinds of beer from The Duck-Rabbit Brewery, the Brown Ale and the Milk Stout. First, the Brown Ale: Upon first taste, it’s hoppy (Get it? Because rabbits?). But it really is, and even billed (see what I did there??) as such. At 5.6% ABV, you’ll need a few of these. Enjoyed it but nothing to fly home about, or something. 3 stars of 5. On to the milk stout: I don’t really like milk stouts, but Beer of the Month sent me three of them and I take this review job seriously, so here goes: This beer was the Gold Medal winner of the 2010 World Beer Cup in the Sweet Stout category, which I thought was impressive until I realize there are about 90 categories. 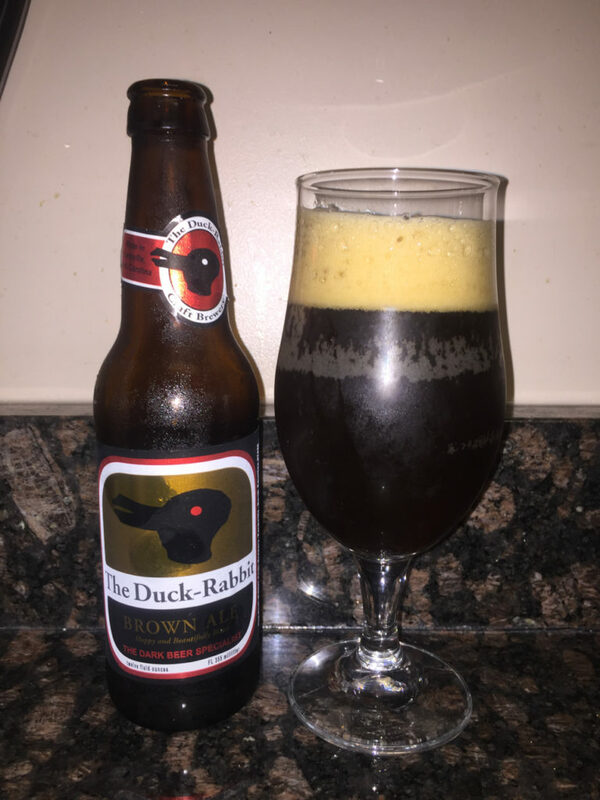 I can certainly taste the lactose, which in combination with the duck/rabbit hybrid on the label, I can’t help but think this beer was squeezed from their nursing mothers. Unlike the Brown Ale, this one took more time to finish, and I wasn’t in any hurry. That doesn’t necessarily make it bad, but nothing I’ll be craving unless I’m desperate for lactose. 5.7% ABV. 2 stars of 5. To me, the story of the brewery is more interesting, as it’s another one of those small companies with humble beginnings. Philosophy teacher to-be Paul Phillippon abandoned his philosophy teaching to became a small-time brewer, sort of like Breaking Bad, but it was legal, he wasn’t dying, and it was beer. Those are good American success stories that are nice to think about while drinking. It’s a duck – AND a rabbit! Mind = Blown.